It was an unusual job advert. Wanted: Cat chief. Location: Zelenogradsk, Russia. Duties: Tending to the town’s approximately 70 stray cats. Some 80 applicants applied for the new role new with the municipality in the small town in the Kaliningrad region, which has also erected a cat statue and added a feline to its emblem in a bid to rebrand itself as Russia’s foremost cat-loving community. 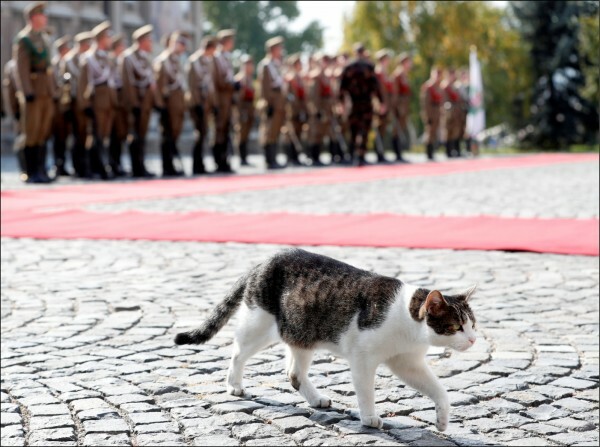 In the end, local resident Svetlana Logunova was appointed guardian of the town’s felines. To help her with the task, she was given a bicycle and uniform, including a bright green jacket, black bow tie and hat. She has been given a budget of 5,700 roubles a month to ensure all the seaside community’s cats are happy, dishing out food, strokes and free rides in the basket on her bike.